Strong, light, functional and looks great! The Pinemeadow Camouflage Stand Bag is designed for strength and durability that doesn't wear you down. Light, comfortable and convenient with easy access for everything you need to get from the first tee to the final green. We thought of everything when engineering the designed of the S1 golf bag. Strong, light, functional and looks great! 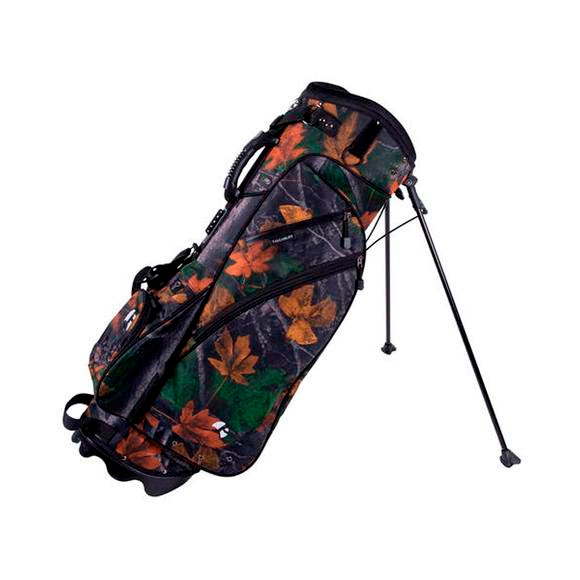 The Pinemeadow Camouflage Stand Bag is designed for strength and durability that doesn&apos;t wear you down. Light, comfortable and convenient with easy access for everything you need to get from the first tee to the final green. We thought of everything when engineering the designed of the S1 golf bag. Easy access to your clubs, sunglasses, rain hood (included), garment storage, golf ball holder, tee holder and many more pockets for your convenience. A velcro strap at the base of the bag holds the legs quickly converting it into a cart bag.